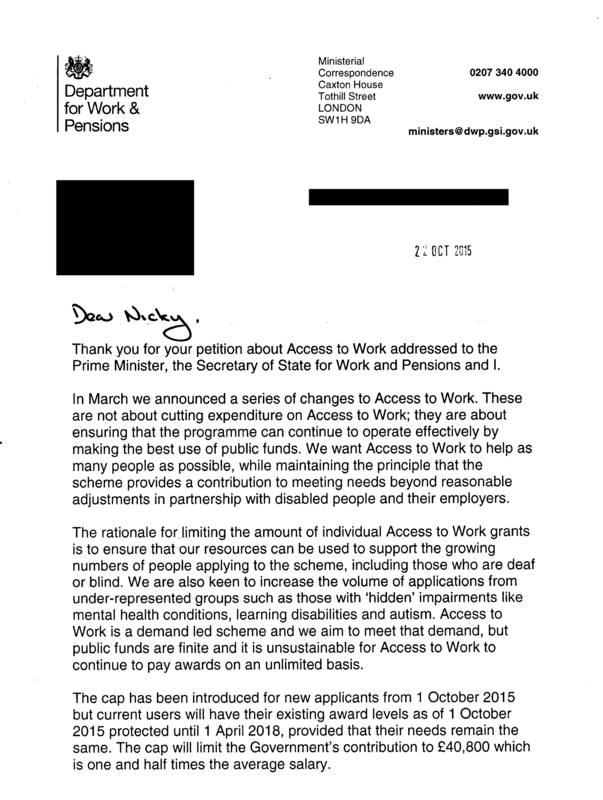 We have now received a response to our petition. As you will see there are some positives, e.g the introduction of Video Relay Services in 2015/16, however we are still concerned about many other aspects of the scheme and its delivery. 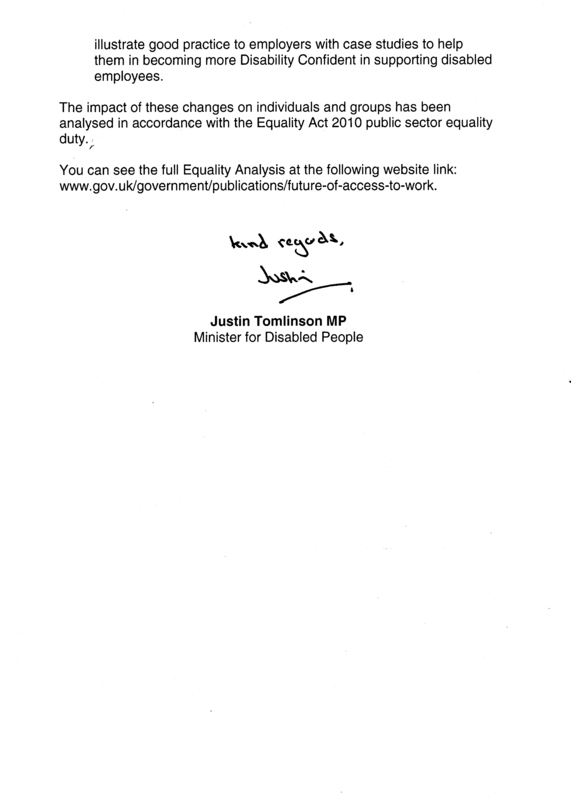 We will be writing in full to the Minister once we have the results of our survey (which can be seen here). 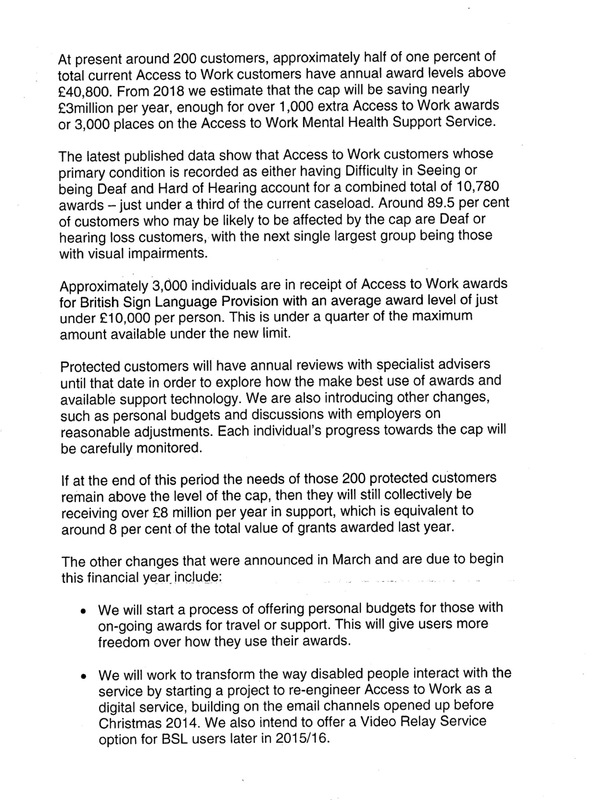 In the meantime we will be contacting the DWP and pointing out to them that the Equality Impact Analsis remains inaccessible to Deaf BSL users, and given that they have identified that 89.5% of those affected are Deaf BSL users, this is unacceptable. If you haven’t taken part in our survey yet please do so here. 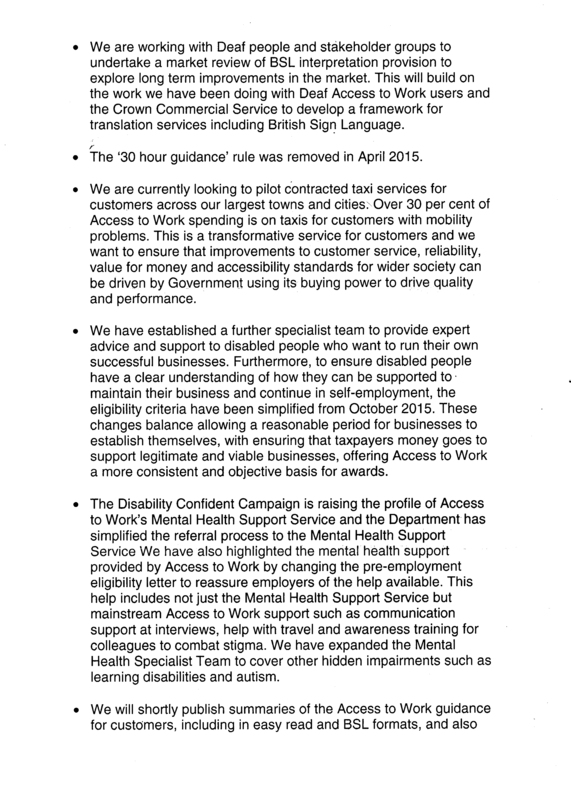 You can read the Petition Response as a Word document here. Posted on November 1, 2015, in Uncategorized. Bookmark the permalink. Leave a comment.